Ian Robinson, Frank Clifford Rose, "Managing Your Multiple Sclerosis"
Managing Your Multiple Sclerosis is an invaluable handbook for anyone who has MS or cares for someone who has it. Aimed at people who already have some knowledge or experience of the condition, the book examines the issues of treatment, therapies and rehabilitation in a comprehensive, yet easy-to-read manner. 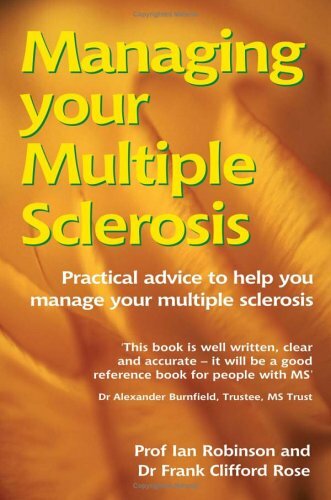 Providing positive advice on dealing with the debilitating symptoms of MS and practical management of everyday difficulties, including employment, finances & home adaptations, this is a thorough reference book written by two medical experts in the field.